Like Jonah, we are sometimes called to stand up for, or even preach, the Gospel in uncomfortable circumstances. Like Jonah, we are often more concerned with our own comfort than with loving God and our neighbors as we should. Like Jonah, we need to respond to God’s mercy in grateful obedience. 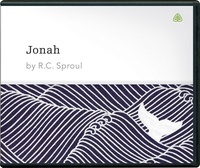 Jonah reminds Christians of the extent to which God goes in pursuing us in our rebellion and in changing our hearts to honor and serve Him.